For Honor Update 1.15.1 is now available on PS4 and Xbox One. The latest For Honor 1.16 patch comes with fixes for Shaman and Aramusha and other heroes. In addition, the update has resolved an issue causing the Gladiator to be bumped by his opponent while throwing him against a wall. Check out full changelog below. [Bug Fix] Counter Guardbreaking a Peacekeeper Guardbreak was not applying the same Damage Reduction modifier as all other heroes which led to possible abuse in group fights. [Bug Fix] Resolved an issue that would cause the Shoulder Pin to sometimes be blocked in situations where it shouldn’t. [Bug Fix] Resolved an issue causing the range of the Demon Embrace to be shorter than expected. [Bug Fix] For Honor Update 1.16 resolved an issue causing the Gladiator to be bumped by his opponent while throwing him against a wall. [Bug Fix] For Honor 1.16 update resolved an issue that caused “Ring the Bell” to not be interrupted correctly when the Aramusha is hit while performing it. Wild Cat’s Rage damage reduced to 20 (from 25). Wild Cat’s Swiftness damage reduced to 20 (from 25). Wild Cat’s Pounce damage reduced to 20 (from 25). Basic Heavy Opener damaged reduced to 27 (from 33). Wild Cat’s Rage Hit recoveries increased to 1000ms (from 700ms), and move forward 0.5m more. Wild Cat’s Rage Normal Blocked recoveries increased to 800ms (from 700ms). 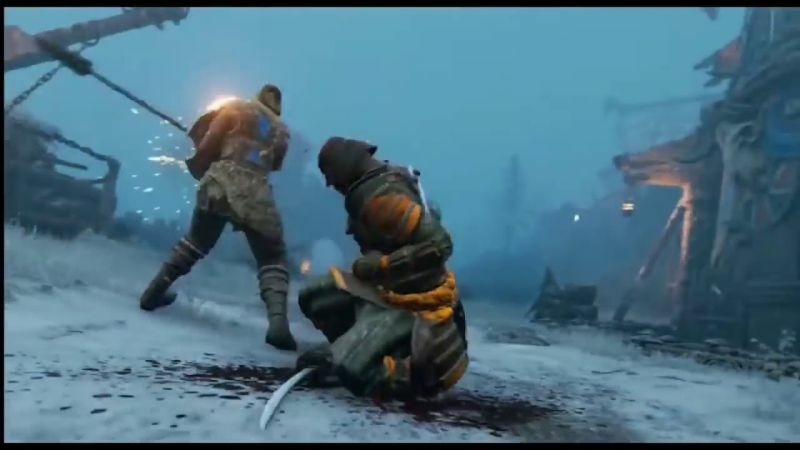 [Bug Fix] For Honor version 1.16 Shaman can no longer switch targets during the running portion of Wild Cat’s Rage, Predator’s Hunger, or Predator’s Mercy. Before, Shaman was able to start running at one target, then whip around and actually attack a different target – this is no longer possible. Check your game update and download latest For Honor Update 1.15 on your PS4 and Xbox One.